I've been taking a blogging break for a month but now plan to make a return for some regular comment. Locally, here in Westgate, it's been one of the best summers in years but somewhat blighted by a boy-racer problem which involves the police and now even our MP, Sir Roger Gale. At the last count, we have three 'hot-hatchbacks' with aftermarket exhausts which are using the Royal Esplanade and Westgate Bay Avenue as a rally circuit, anywhere between 10pm and 02:00 in the morning; making residents lives miserable. I have recorded speeds of up to 80 mph and the police now have two registrations of three. Reportedly, one of the offenders has already had one car taken away and crushed by the police but it has not dampened his enthusiasm. While recognising that the authorities are aware of this problem at the most senior level and are being pressed by our Member of Parliament to take action, I want to go on the record here and warn them that unless the matter is dealt with through a vigorous policing response, somebody may be killed or seriously injured. Most recently, we had a serious accident on Westgate Bay Avenue and I do not wish to see a repeat, late at night. 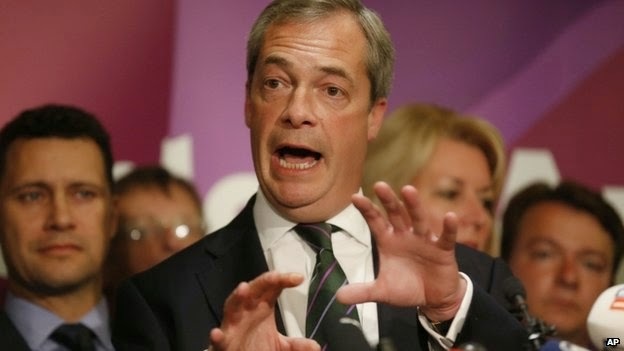 The big political news of the week is of course that UKIP's Nigel Farage, wishes to add his name for his party's shortlist for Thanet South for next May's General Election. I don't think anyone worries that he won't receive the nomination and if and when he does, the nation's political spotlight will turn towards Thanet. It would not surprise me to see the Prime Minister making an appearance here with senior members of his Cabinet as May approaches. Not only will Mr Farage feature in the tabloids but so, I'm sure, will the other candidates, as every small detail of their lives to date is unpicked, given the public interest and critically important nature of the seat in a General Election, in defining UKIP's place in the dysfunctional swamp which now represents modern British politics. While the other candidates may publicly relish the opportunity of competing with the Teflon-coated Mr Farage, I would caution; 'Be careful what you wish for' as your lives may never be the same again. On the flip side of the coin, Thanet's own problems and challenges; a last refuge for ageing Leninists and political fantasists alike, will become lurid material for the tabloids . If it wasn't lost on me, that the long queue in Barclays Bank in Margate,one day last week, could have been a branch anywhere in a town on the fringes of eastern-Europe, then it won't escape the sharper attention of the Daily Mail. I don't believe that locally, we have an appetite to become the focus of the nation's fierce immigration debate; particularly when you measure the controversy in Council, County, NHS and police statistics rather than simple prejudice. 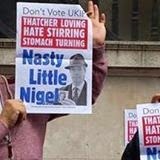 However, if Nigel Farage has his way, then Ramsgate and Cliftonville will become very much national news, with BBC political correspondents roaming the high-streets looking for migrant concert pianists and brain surgeons, fresh from Calais and Daily Mail reporters looking for the embarrassing health and crime figures which include, following the last police report to Council, syphilis and child-sexual exploitation to name but two. More to come soon I'm certain. What I find difficult to comprehend is that the boy racers have been able to do this for so long. And why should it take an MP's involvement, what of the P&CC's role? P.S. Glad to see you back. Simon, I'm sure your right about the impending scrutiny. Whatever the outcome this will be the spur that awakens Thanet, if only for a short while. I'm looking forward to it, probably for all the wrong reasons, should be fun. What is so wrong with Farage (or anyone else) highlighting Thanet's problems? Or should we just make out they don't exist? Very good to see you back Simon, let’s hope there is a silver lining to the political cloud and we can get some help from central government with funding support for alleviating some Thanet’s problems. To me the problem of people dumping in Thanet could mostly be solved with extra resources. A bit more policing, education funding and health funding and things would be very much easier all round. c. Cargolux use the latest Boeing 747-800F freighter jets – and importantly do not need night flights. Dear Mr. Holyer. Please could you substantiate your claim that old noisy aircraft are not permitted at UK airports? Perhaps you could point me to this legislation and provide a brief summary of the key points. For example, what is the oldest plane allowed to fly in UK airspace and what is the noisiest plane allowed to fly in UK airspace? Are you saying that people in Ramsgate will not be able to hear the planes going over or be affected by the pollution? Anyway it matters not as there will never be any planes flying from Manston again. If you don't believe me why not ask Simon he will tell you. I think Manston and its history has been pretty much done to death here and elsewhere for now, so let's give it a rest or simply call a truce until we see some kind of action from the Council in regard to its future...! Had the unfortunate pleasure of seeing one of your boy racers in the flesh as he flashed past me as I left a friends house in Westbrook Avenue late on Tuesday. A black BMW going at over 70mph is a crazy, stupid and lethal thing to see in an otherwise quiet avenue. I too am surprised its been allowed to go on for so long, despite the best efforts of local politicians. Purple Om I think your debating skills may be better served elsewhere. I demand rather more from my readers. Alasdair.. I'm familiar with the black BMW I think... Estonian plates if it's the same one? Two policemen in radio contact, one at each end of the road, and each equipped with a stinger. How much would that cost if it brings to an end this dangerous practice? A lot less than senior policemen interviewing councillors in pursuit of a ill founded complaint. And as far as I'm aware Purple Om, the landing and taking off of aircraft is not against the law, whereas driving in excess of the speed limit is. And because Manston no longer has a CAA licence no aircraft have used the airport since its closure,with one exception, and this was the aircraft which carried the England football team to Brazil, and had legal clearance to use the runway. Yes Simon, too dark to ID properly, but they were foreign plates.